Qt5 is making some apps' GUIs look terrible! 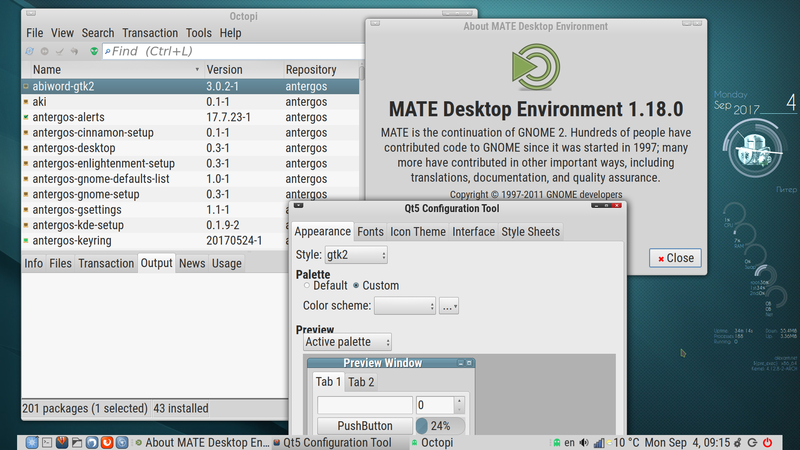 The window for the Qt5 settings utility in MATE, as well as for Octopi, is not being drawn correctly under Qt5 in MATE. Does Qt5 not get along well with MATE or something? …Does Qt5 not get along well with MATE or something? How to set up qt5 in gtk DEs. Gtk should not need Qt5. But it uses qt5 nowdays. Arch and its derivatives, including Antergos, Revenge, Bluestar has the /etc/environment file. Debian, Fedora, openSUSE, Gentoo have it as well. Log out from X session. Log back in. Reboot is not needed. Do not install qt5ct in Plasma. It works for Gtk only. It ruins Plasma interface. Again: never install and never use qt5ct in Plasma. 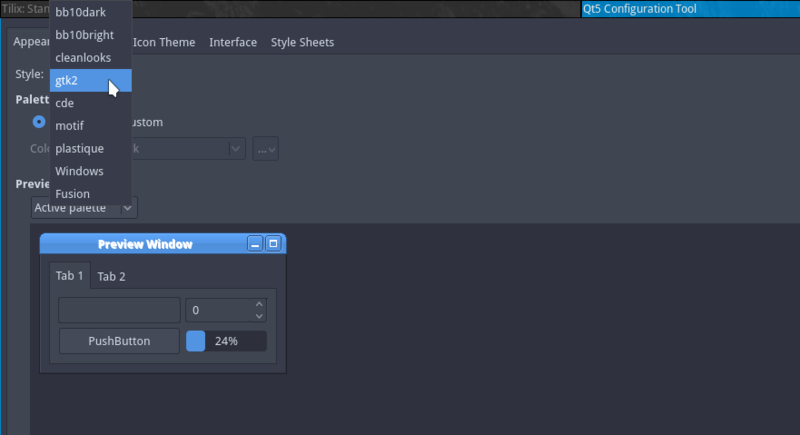 Qt5 apps take an enormolus time to start up in Gtk. Be patient and wait.